EX4300 1 Gigabit Ethernet (GbE) switches are compact, fixed-configuration platforms that can be deployed as standalone systems or as part of a Virtual Chassis or Virtual Chassis Fabric switching architecture, satisfying a variety of high-performance campus and data center access needs. Virtual Chassis technology enables any combination of up to 10 EX4300 and EX4600 switches to be interconnected as a single, logical device that delivers a highly scalable, cost-effective solution for 1GbE or mixed 1GbE/10GbE/40GbE environments. The EX4300 can also be used in a QFX5100-based Virtual Chassis Fabric switching architecture, which enables up to 20 interconnected EX4300, QFX3500, QFX3600, and QFX5100 switches to operate as a low-latency, high-performance 1GbE/10GbE/40GbE data center fabric that is managed as a single device. 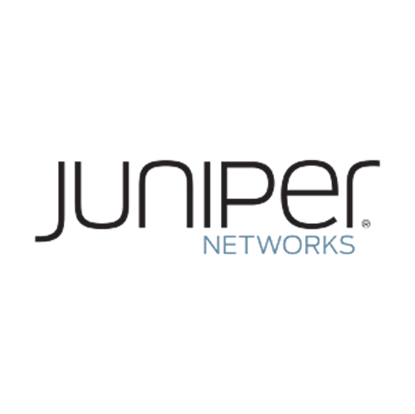 Field-proven Juniper technology: A carrier-class architecture, coupled with the Junos OS, enables EX Series Switches to provide carrier-class reliability for every application. Security risk management integrates Unified Access Control to help EX Series Switches dynamically deliver network protection, guest access, and identity-based QoS. Wire-speed performance at high 1GbE, 10GbE and 40GbE port densities dramatically simplifies network topologies and operations. Eight QoS queues per switch port ensure proper prioritization of voice, video, and multiple levels of data traffic, with room to converge other networks, such as building automation and video security systems. Innovative, cost-effective switch design enables new architectures that reduce cost and complexity, while unified management and automation tools consolidate system monitoring. Virtual Chassis technology allows multiple interconnected EX Series switches to operate as a single, logical device, reducing operational expenses and simplifying management. Support IEEE 802.1ae MACsec for link-layer data confidentiality, data integrity, and data origin authentication, enabling 88 Gbps of near line-rate hardware-based traffic encryption on all GbE and 10GbE ports.